We are a leading Manufacturer of four side glass squash flooring, haro sports flooring and sports courts flooring from Mumbai, India. Being a client centric organization, we offer a vast range of Four Side Glass Squash Flooring, which is available according to the national building regulations. 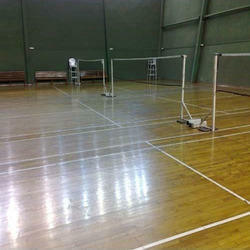 We have to provide our clients with Haro Sports Flooring, which is considered as the most important sports equipment. These floors are designed with the aid of most advanced machines and devices. Our Haro Sports floor facilitates a superb base for a powerful performance that enables us to get selected for 7000 arenas multi-purpose halls and major professional stadiums across the globe. These sports floors are efficiently designed for the benefits of athletes, arena operators and investors. 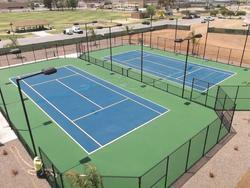 The Haro Sports Floor are appreciated for their excellent performance, low maintenance, and multi-purpose use. Our organization is well known in the business for the extensive variety of games items which we offer to the clients that incorporate the Sports Courts Flooring which have an exceptionally durable make and they are supplied to the clients on time. These courts are accessible in different determinations and they have an extremely tough make and they have been purchased from well known sellers in the business and they offer elite to the clients in the business.